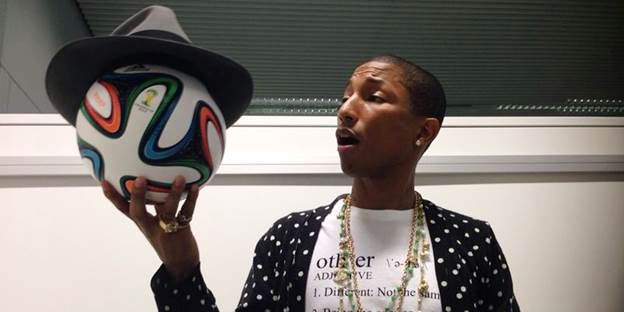 To celebrate the 2014 FIFA World Cup official match ball @brazuca surpassing 2 million Twitter followers, Pharrell Williams let the ball wear his famous hat. Follow @brazuca for ongoing tournament updates, news and insights directly from the official match ball and for further information please @adidasSoccer #WorldCup #allin or nothing. Print article This entry was posted by Art Eddy III on June 23, 2014 at 12:57 pm, and is filed under Entertainment. Follow any responses to this post through RSS 2.0. Both comments and pings are currently closed.